Please tell me that I am not the only one who hates washing makeup brushes? It is something that I vow to do every week to try and keep them as clean as possible but boy do I hate it! The result afterwards is of course worth it, but when you have so many to do it is very time consuming and tiring. The past month or so I have been using a fancy tool to clean mine and this has made the world on the difference when it comes to cleaning. My hands don't get full of wrinkles, nor do I get tired, a bit of music blasting and brush cleaning is fun! 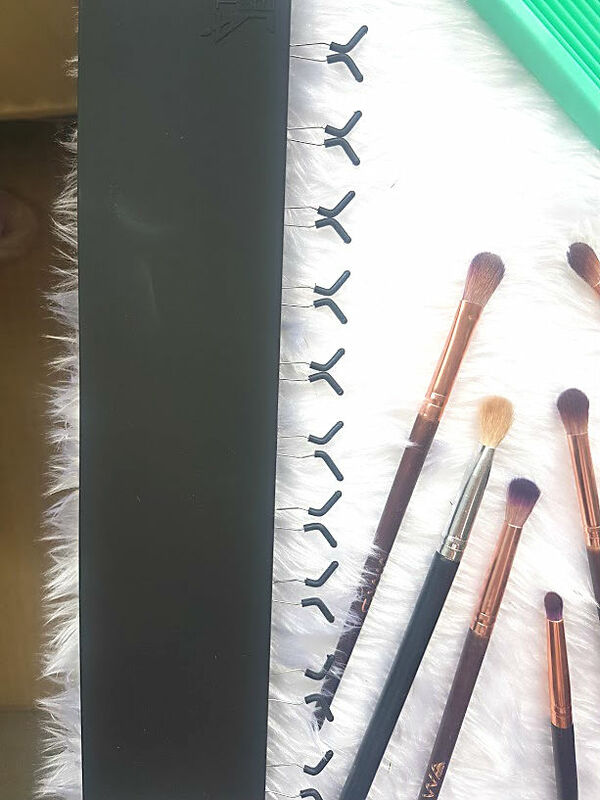 This brush board from The Brush Bar is better than brush cleaners that I have tried from Primark and my horrible hands too. 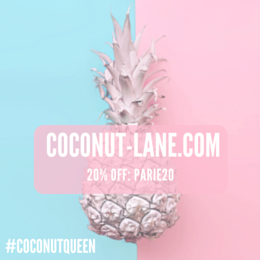 It is made of sturdy plastic that fits in my sink perfectly and comes with its very own velvety travel bag, to take with you on the go. 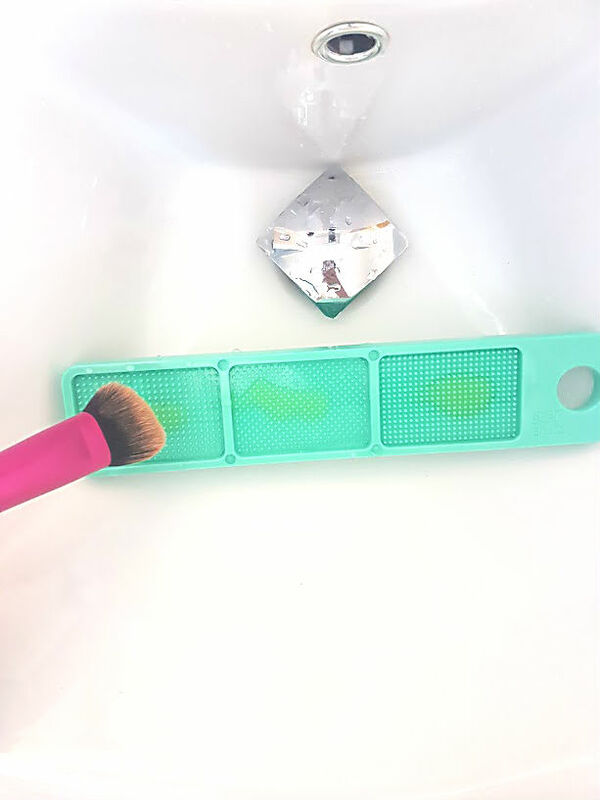 The board itsself is 30cm by 6cm and is a double sided board to clean makeup brushes to the core. 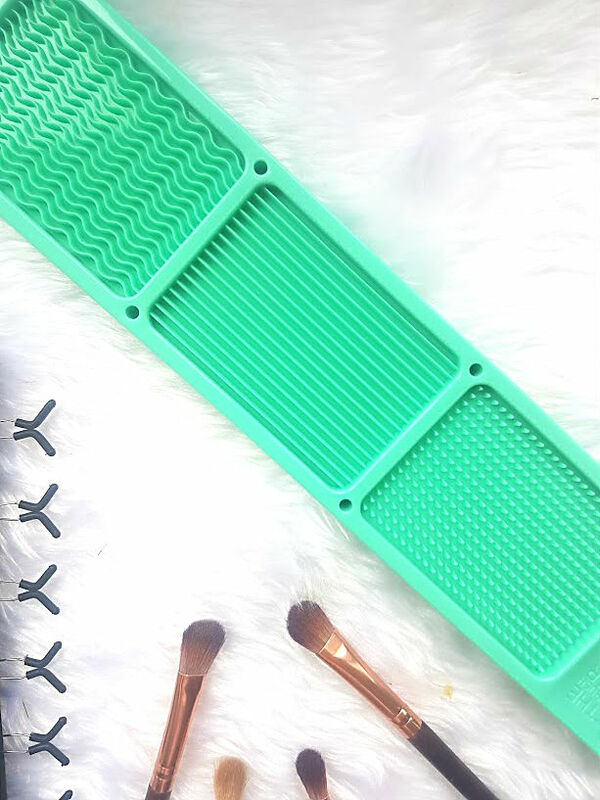 On each side of the board are three sections made up of different shapes to clean your brushes, there are cylinders, pyramids, cones, waves, ridges and little prisms. Each of the shapes are designed for different purposes, the cylinder for example is for a gentle cleanse the cone for a deeper clean. To be perfectly honest, I just swirl my brushes around them all and have lots of fun! 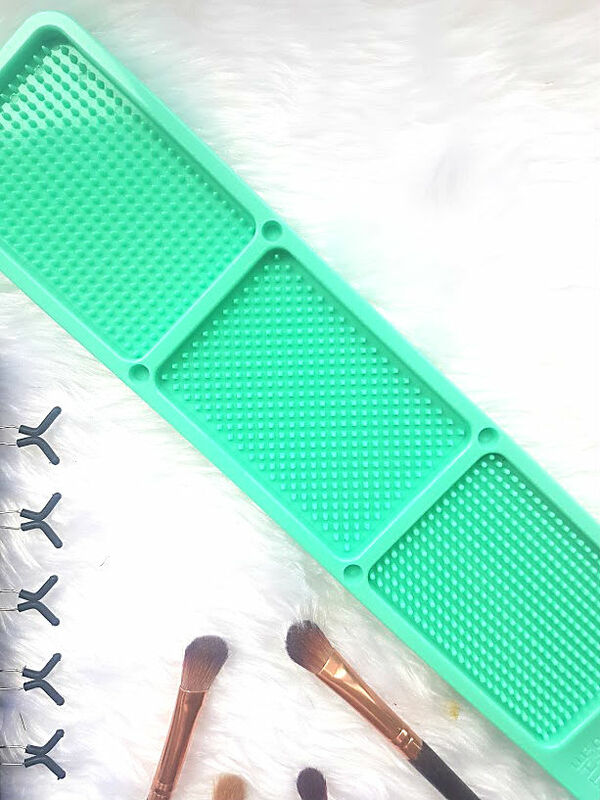 I have found this board to be perfect for eye, lip and face brushes. Regardless of the size of the sections they work really well with all my brushes! My favourite way to wash is to pop the board into my sink, squirt some baby shampoo on the sections and swirl away. I can actually see the makeup running off the brush and doing it continously helps me to see just how much product is coming off and all the different colours. 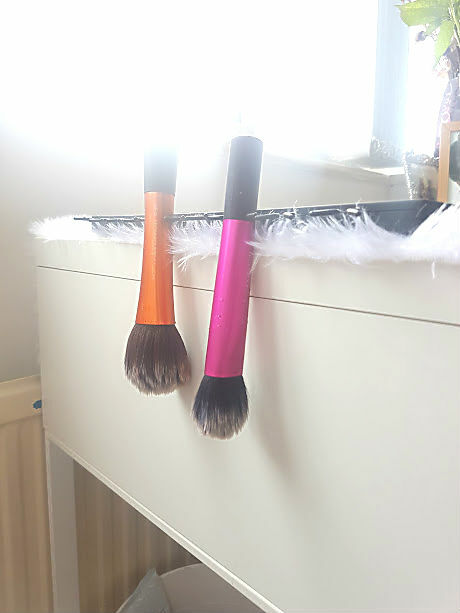 Brushes dry their best when kept in a vertical position with the bristles pointing downwards, I have never been able to do this and just end up leaving them to dry on some tissue or a towel. This dryer allows any left over water drip to the tip of the bristles, which in turn prevents the breakdown of the glue that holds everything together. Also portable, this brush dryer is made of matte black plastic that consits of ten rubber prongs. 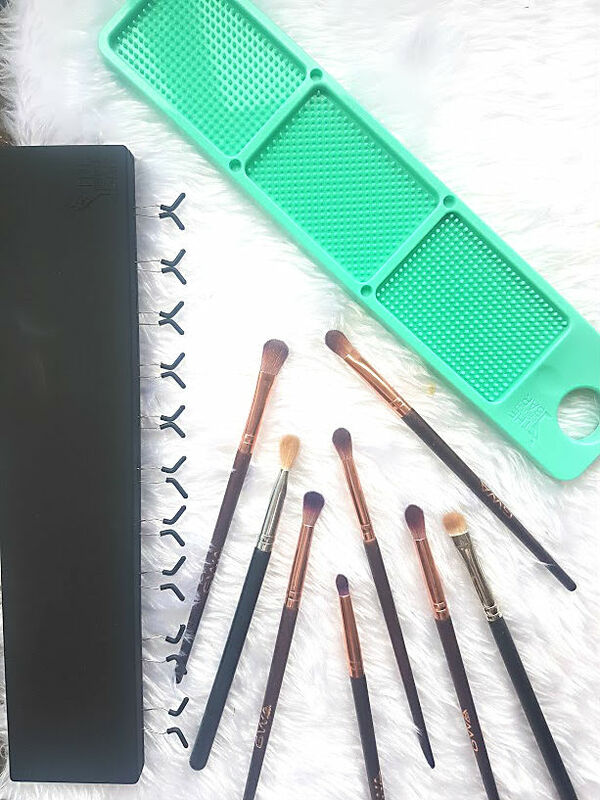 The prongs allow you to almost hang your brushes in the air and allow them to dry vertically - genius right! I find it best to use this for larger face brushes comapared to thin eye ones. You can secure with a elastic band but it is easier to use something like this for bigger brushes that need longer time to dry. I love setting this up at the edge of my desk to dry whilst I get going with everything else in my day. Overall, I have to say that The Brush Bar system makes me enjoy washing my brushes (please don't kill me). It just makes the whole thing a lot easier to do! The brand have cleanser on their site, which I am very tempted to buy..p.s they ship internationally!